Determined to finally shut down as many message board debates as possible, The World Science Fiction Convention gave out its annual Hugo Awards this weekend. The Hugo Awards are arguably the most famous name in science fiction prestige, and unlike most mainstream jock awards and their panels of easily swayed judges, its winners are determined by public voting. That means when the Hugo Awards decide that something is the best thing, it really is the best. Now that we’ve established that it’s pointless to argue with these results—which come via The Telegraph—let’s get on to the winners. 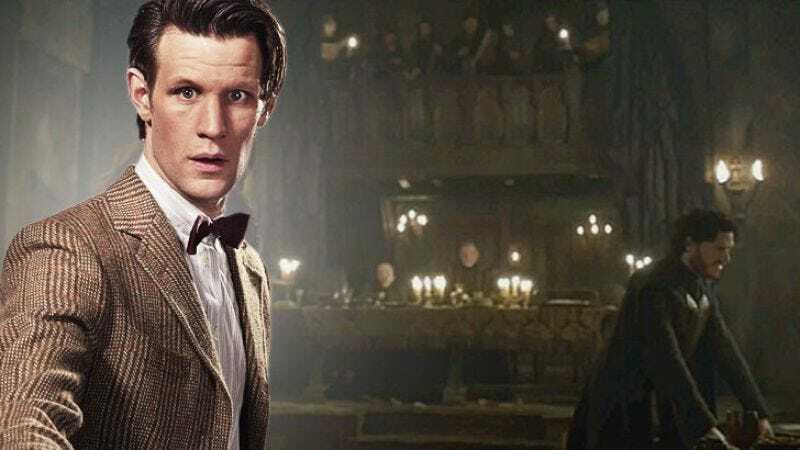 First off, The Red Wedding claimed a few more victims as Game Of Thrones’ “The Rains Of Castamere” took the Best Dramatic Presentation (Short Form) award, beating Orphan Black and all of the big Doctor Who episodes from last year. That includes the anniversary special, Matt Smith’s final episode, and An Adventure In Space And Time. The Best Dramatic Presentation (Long Form) award went to Alfonso Cuarón’s Gravity—defeating fellow nominees Frozen, Pacific Rim, and Iron Man 3—but that’s probably because Neil deGrasse Tyson stuffed the ballot box. The full list of winners is below, and now we can all go on with our lives, possessing the knowledge that Game Of Thrones and Gravity are officially better than Doctor Who and Pacific Rim.